Ball is sent from the end line to either side. 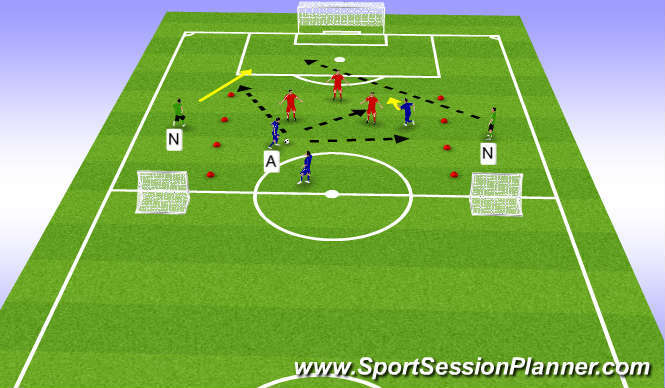 Team A creates space by off ball movement. Overlaps are ideal. Send the ball to the middle. 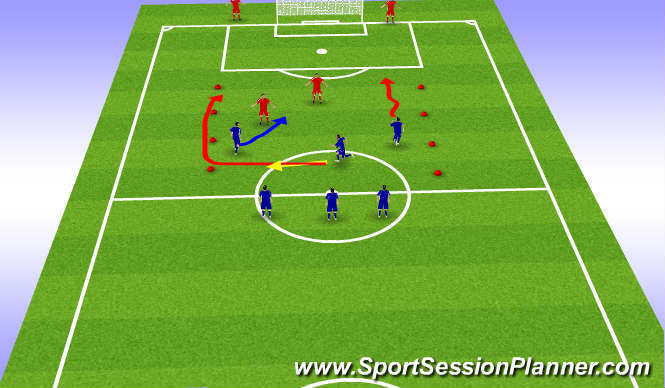 Can the players create space by creating the off ball moverment after passing the ball? Team A attacks using wide nuetrals to create the space. Off ball wing has opportunity attack back post once the ball enters the opposite nuetral&apos;s area. Each nuetral may attack the defender with a dribble. Once the ball is lost, wings return to their nuetral area and Team B attacks target players (mini goals). Supporting the ball from all angles.